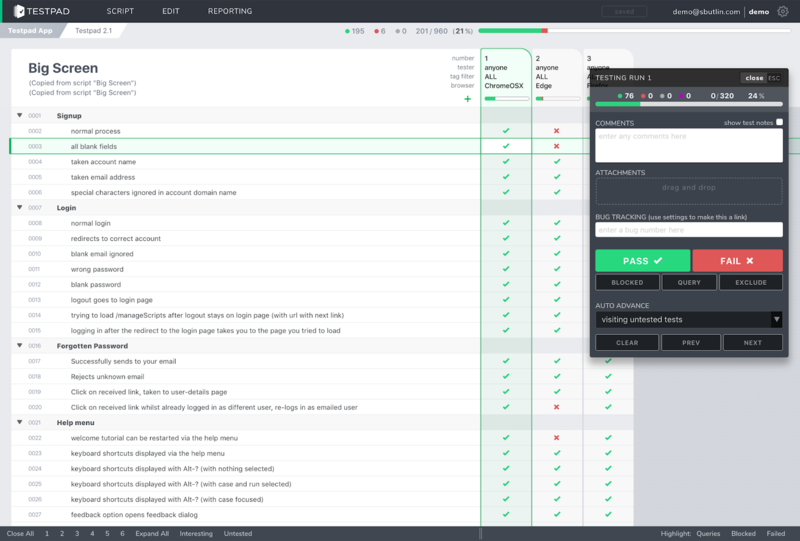 It's now been 3 months since Testpad's UI saw a big upgrade in look and feel, and, judging from customer emails (keep 'em coming), Testpad has never been so popular. And it's not just the positive feedback - since June, the new UI has been used to record over 1,000,000 results, taking Testpad's total to over 15m. Sadly for the dev teams out there, not all of those have been 'passes', but at least the bugs are being found in testers rather than customers hands! 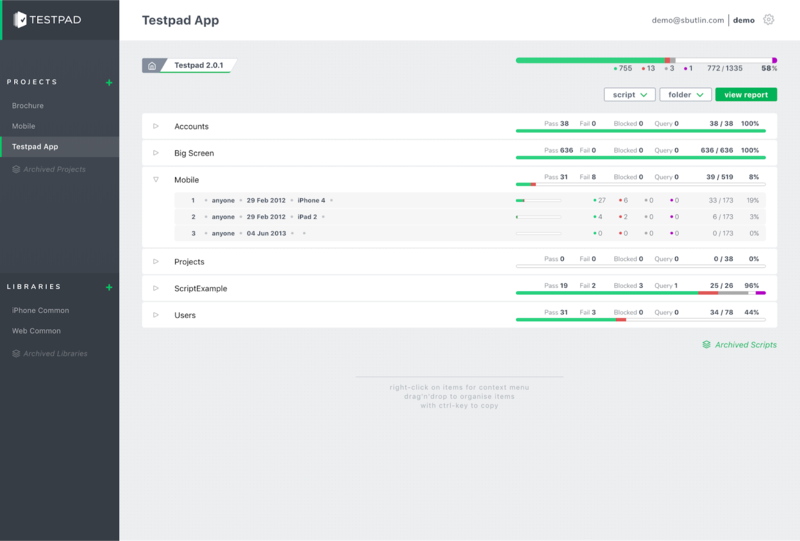 Looking ahead, Testpad's next big upgrade over the coming months will be a much-requested API. The API work is still early days, so don't hold your breath just yet. Although please do get in touch if you have specific requirements or ideas for how you'd use an API. The more input at this early stage, the more useful it will be. If you're new to Testpad, please don't hesitate to get in touch for help... video demos, importing existing tests, usage patterns etc.., just email support@ontestpad.com.